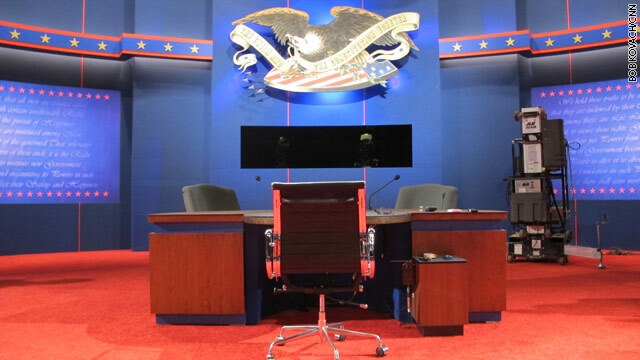 All eyes are on the stage of the Vice Presidential debate tonight in Danville, Kentucky where Joe Biden and Paul Ryan will face-off for the only time in this election. 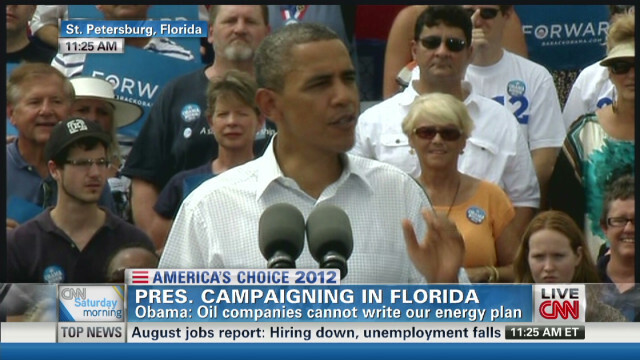 But President Obama will be doing his own thing as he travels to the politically important state of Florida. Today's trip is his 12th trip there. New polls are out in the Sunshine State which have the race virtually tied so with 26 more days until Election Day, the events in south Florida are important. While there, he'll have two campaign events- the first is a big grassroots event at the University of Miami's BankUnited Center. Later, he'll attend a smaller fundraising reception at the JW Marriott in Miami. He'll return to the White House by the time the Vice Presidential debate has ended but chances are he'll be watching aboard Air Force One. Melbourne, Florida (CNN) – In the senior-heavy coastal city of Melbourne on Sunday, President Barack Obama, armed with a new study, continued to hammer the Republican plan to reform Medicare. He highlighted a Harvard analysis, conducted by a former Obama adviser, that found seniors would pay more under the "Romney-Ryan plan," compared to his plan, which he said will strengthen the entitlement program. 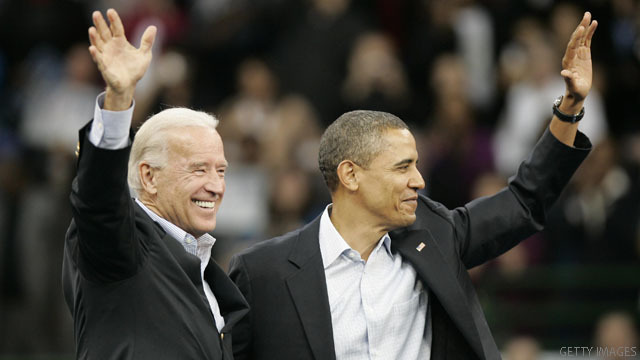 Obama said GOP nominee Mitt Romney wants to "give money back to insurance companies and put them in charge of Medicare." "Their voucher plan for Medicare would bankrupt Medicare. 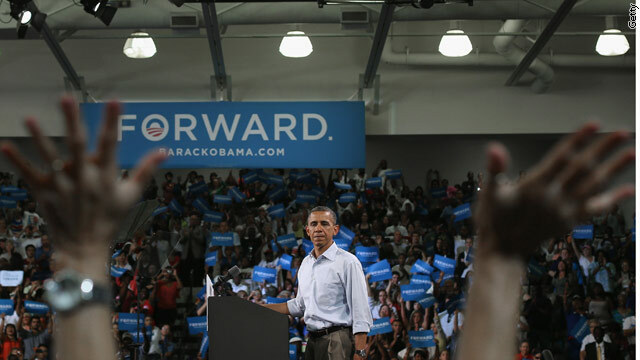 Our plan strengthens Medicare," Obama told a crowd of 3,050 gathered at a sports and recreation center. "No American should have to spend their golden years at the mercy of insurance companies." The focus on Medicare on Sunday was the latest effort by the president and his campaign to turn up the noise around the program and throw Romney off his message on jobs and the economy, especially important as the president continues to make a play for the senior vote ahead of the November election. Seminole, Florida (CNN) – President Barack Obama took his "ready to go forward" message to Florida voters in his first stop Saturday on a bus tour through the swing state. The president was introduced by former Florida Gov. Charlie Crist, who was once a Republican but is now an independent and an Obama supporter. Obama said Crist backing proves "the values we are fighting for aren't just Democratic values or Republican values, they're American values." The president reiterated the proposals on display at this week's Democratic National Convention, including plans to create more jobs, expand energy production and improve educational opportunities in the United States. 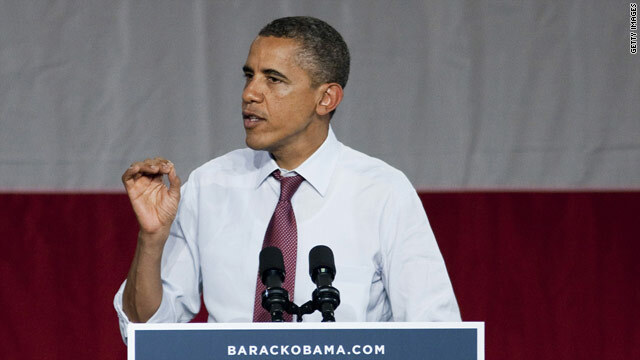 President Obama speaks during a campaign stop at Rollins College on August 2, 2012 in Winter Park, Florida. JACKSONVILLE (CNN)–Florida is an up-for-grabs state and both President Barack Obama and presumptive GOP nominee Mitt Romney are locked in a neck and neck race trying to convince voters their policies will help fix the nation's economic problems. Thursday, the president made his fourth campaign stop in the last month to the state that represents a whopping 29 electoral votes. In the reliably Republican city of Jacksonville, the president offered his supporters a reason to stick with him then cast a wider net by going after his opponent on an issue that resonates with senior voters–Medicare. "He plans to turn Medicare into a voucher program," the president told a crowd of some 3000 people at the Prime Osborn Convention Center. "Now, Florida, that's the wrong way to go... We shouldn't be squeezing more money out of seniors who are just barely getting by right now. My plan is to squeeze more money out of the health care system by eliminating waste, and going after abuse and fraud in Medicare." Senior citizens make up 18 percent of Florida's population. 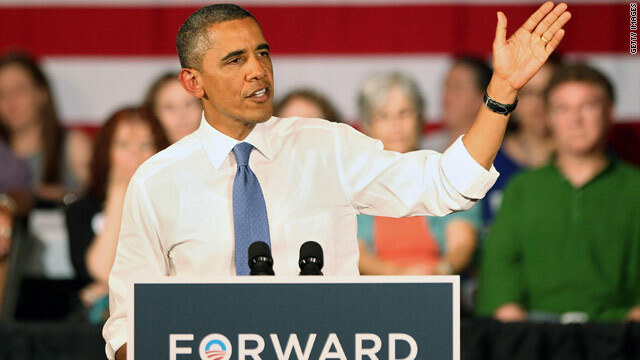 The Obama re-election campaign says the president's policies will strengthen Medicare, a view not shared by his opponent. 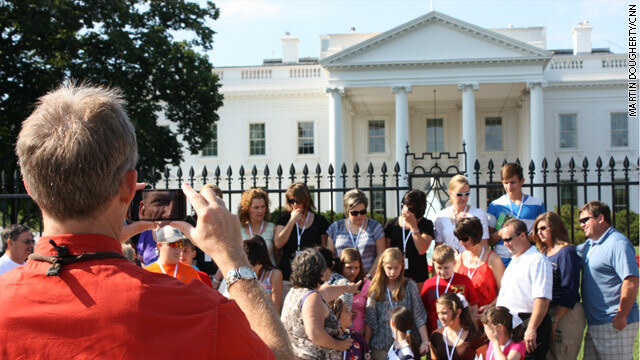 The White House makes for a good background for a photo of this group of tourists. President Obama heads south for a day trip to Florida today. He'll be speaking at the National Association of Latino Elected and Appointed Officials (NALEO) at Disney World in Orlando which is where Mitt Romney spoke yesterday to the same conference where he had a mixed reaction from the audience. Obama's remarks today come a week after announcing the changes in immigration policy for young immigrants. He also won 67% of the Hispanic vote in 2008 so he's likely to get a better review from the conference attendees. After his remarks in Orlando, he heads to Tampa, where he'll have a campaign event at the Hillsborough Community College- this time likely targeting younger voters. He returns to DC late this evening. 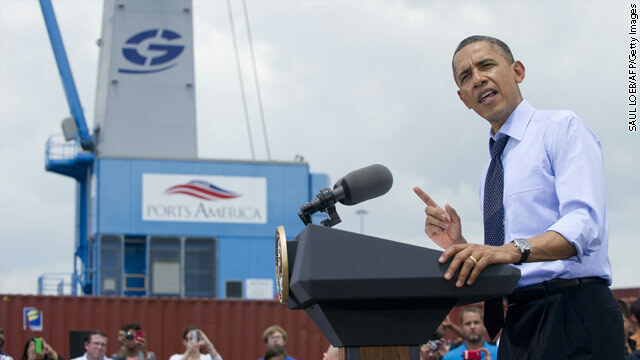 President Barack Obama speaks about trade policies with Latin America at the Port of Tampa in Tampa, Florida, April 13. Later today, Obama travels to the Summit of the Americas in Cartagena, Colombia. Tampa, Florida (CNN) – Touching down in the key campaign state of Florida for the second time this week, President Obama pledged to further promote trade with Latin America and unveiled a new federal program to aide small businesses exporting south of the border. The quick visit to Tampa comes ahead of the president’s visit to Cartagena, Colombia later this evening, where he will attend the Summit of the Americas. The two-day gathering with leaders from the Western Hemisphere will specifically focus on economic and trade issues in Latin America. The summit also provides the president with a convenient opportunity to promote issues that his campaign no doubt hopes will resonate with certain Hispanic voters, specifically development in Central and South America and more federal assistance to businesses that have trading relationships with countries there.